Day 21, three weeks of IPAs! 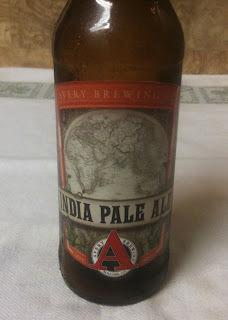 Tonight's brew is the India Pale Ale from Avery Brewing Company. Another twelve ounce bottle, 6.5% ABV. Avery's web site shows 69 IBUs. 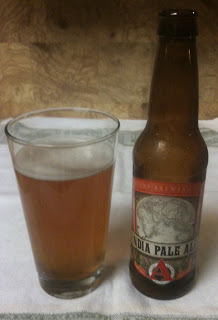 The Avery IPA poured with very little head. The color is golden, and it is slightly cloudy. Aroma has some citrus and floral notes. I am not getting much citrus in the taste, mostly hops and malt. A touch of sweetness. I would rate it on the strong side of medium for strength of flavor. There is a nice bitterness to the aftertaste, and some lingering hops. This is the type of IPA I prefer - lots of flavor, with heavy hits of hops and malt.